It won’t surprise many people to learn that one of the biggest household expenses is food shopping. Along with bills, rent or mortgage payments and petrol, weekly costs soon add up. In an emergency, short term loans can help you out of a difficult financial situation. However, there are plenty of tips and tricks to help you keep the costs down, particularly when it comes to your weekly food shop. We’ve come up with our top tips explained in our video and in the article below. Whether you live alone on a low salary or have a family to feed, there’s always a reason to save money. Food prices have been rising for the last couple of years and wages across the UK haven’t risen along side the costs. What can you do to save money on your weekly shop? Watch our video and read on for our tips. One of the most fatal things you can do when you’re doing your food shop, is go with an empty stomach! Make sure that you are in the right frame of mind to think clearly about your purchases, this will prevent you from making impulsive decisions and spending more money than you should. It’s also a good idea to create a weekly meal plan, and write a list, so you know exactly what you need. That way you won’t need to pop out for “top up” shops later in the week, saving you both time and money! Many people return to their tried and trusted brands again and again, without even thinking about the savings they could be making by choosing supermarket own brands instead. 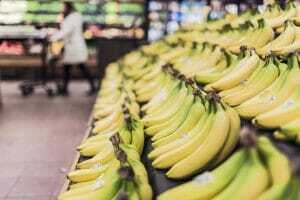 Some supermarkets even offer a brand guarantee, which means that if you choose to buy brands and they are cheaper elsewhere the amount will be refunded. Despite this, it’s still considerably cheaper to make some simple swaps to supermarket own brands. The chances are you and your family won’t even be able to taste the difference! The internet is brilliant for finding discounts for just about anything you can think of. Whether you’re looking for reductions on individual products, or money off your whole shop, you’ll probably be able to find something to help keep costs down. Try downloading supermarket alert apps which will let you know when your favourite groceries are on offer. Most supermarkets will offer a loyalty card to help you to save money or collect points. It might take time but these do eventually add up. You’ll be able to receive rewards on your regularly purchased items or money off of your next shop. Some supermarkets even offer loyalty card members discounts for tickets to popular attractions, so you could save money on your food shop and your days out. It’s pretty typical for people to fall into a routine of going to the same supermarket week in, week out. It might be the nearest shop to you or just one you are most familiar with. However, this doesn’t necessarily mean that it’s the most affordable option. You might be surprised by how much you can save by simply switching to a different supermarket. There are plenty of online comparison websites and apps available to help make the process of comparing the cost of your favourite items quick and easy.